When there is no personal account of the valor it takes to receive a Medal of Honor it is most often because the gallant have fallen in combat. But in the case of Medal of Honor recipient Einar Ingman, it would be because his wounds during the action were so significant that he had no recollection of the action that earned him the honor. 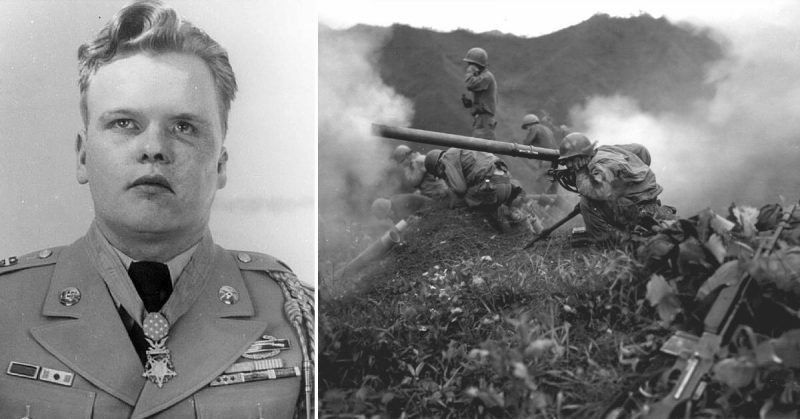 On a treacherous ridge in Korea, Ingman organized a group of soldiers after the officers had been killed and pressed on with an attack on this key position. During this time, he would personally take out two machine gun positions which resulted in direct hits to his face and neck from shrapnel and machine gun fire. Despite these devastating wounds, Ingman rose back up and cleared the two gun positions before passing out due to his wounds. Despite the experience that would define some men for a lifetime, he would have no memories of the battle and the accounts of his gallantry would have to come from his fellow soldiers. For the actions witnessed by these men, this soldier would earn the nation’s highest military honor and the respect of every man he served with that day. The life of Einar Ingman began on a Wisconsin farm. Born in 1929, he initially enlisted in the Army in 1948 with the desire to work with heavy machinery. However, in what would be a stroke of luck for the men he would eventually lead in combat, Ingman was assigned to the Infantry. As war broke out in Korea in 1950, Ingman would find himself thrust into the action far from a farm and with all the pleasantries a grunt might hope to expect in combat. By the time of action that won him his Medal of Honor, Ingman had already been wounded once in the fighting and was a battle hardened soldier. By February of 1951, the 7th Infantry Division would find itself pushing towards the Korean town of Malta-ri. Ingman was part of a two squad group assigned with taking a treacherous ridge raining fire down up any advancing allied troops. 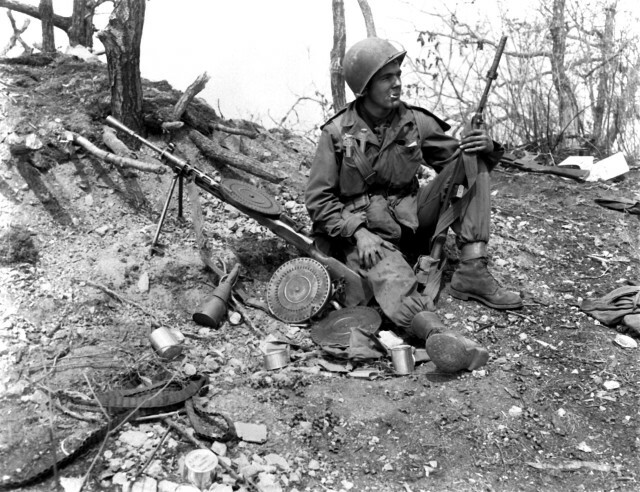 The Korean War was, in the first year, very dynamic and territory was lost and gained, for the men on the ground, it became a battle for every hill and ridge one at a time. Manning this particular ridge were a group of Chinese who were determined to hold it at all costs. On February 26th, 1951, Corporal Einar Ingman would, through circumstances of combat, find himself in charge of two squads when their officers were killed or wounded. Their objective was a fortified ridge-top position manned by a resilient enemy who would not give ground easily. Once Ingman realized the two squad leaders had gone down, he reorganized the men into one assault group under his command. This might seem like a given, but considering the daunting task ahead of them for any man to assume responsibility requires exceptional courage and leadership. Straight away, he began to direct the men from one position to the other. They leaped through heavy enemy fire, as Ingman called in fire support. 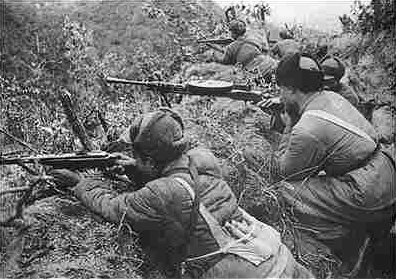 As they approached the ridge, they became pinned down by heavy enemy fire from a series of two fortified positions. Upon identifying the first, Ingman charged it alone as he realized the heavy toll this machine gun position was taking on his men. With precision aim, he threw a grenade into the position killing most of its occupants, while he finished the rest off with his rifle. It was at this point that the second machine gun position opened fire from only 15 yards away. Without hesitation, Ingman charged this second position alone. Just then, a grenade exploded sending shrapnel directly to his head and taking off part of his left ear as it knocked him to the ground. Undeterred, he rose again to his feet and pressed the attack when he was shot directly in the face just below the nose with the round exiting behind what remained of his left ear. This would be the last thing Ingman would remember, but what his fellow soldiers recalled would be remarkable. Partially blinded and missing a good number of his teeth, Ingman rose to his feet again and continued the charge. He fired his rifle until he was out of rounds and then finished off the rest of the Chinese machine-gun position with his bayonet, before finally passing out from his wounds. The enemy in front of Ingman broke and fled at the sight of his gallantry, but the next thing Ingman would recall was waking up in a Tokyo hospital about a week later, with no recollection of his actions in Korea. In fact, for a period of time Ingman could not even recall his own name due to the severity of the injuries. It would take over 20 surgeries for Ingman to slowly begin to recover any memories. He was eventually flown to a hospital in Washington D.C. In 1951, Einar Ingman would receive the Medal of Honor for the actions he could barely remember from President Harry Truman. Upon returning home to Wisconsin, the people of his hometown treated him to a new house, boat, and a hero’s welcome. After exiting the Army in 1951, he would retain enough of his memory to marry his hometown sweetheart and raise seven kids. For 32 years, this gallant warrior would serve in the inconspicuous role as a mail clerk in Tomahawk, Wisconsin. Despite his struggles with memory, he would forever retain the gratitude of a nation and the respect of all the men who witnessed on his behalf a conspicuous act of gallantry that deserves a hallowed place in the halls of history. Einar Ingman might not remember all of his actions, but the history of war most certainly will.